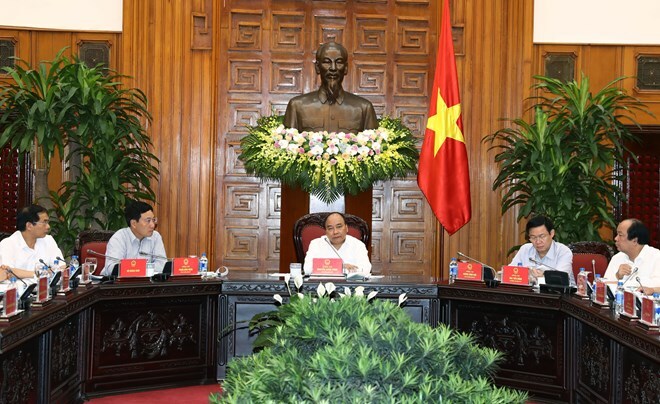 Hanoi (VNA) – Prime Minister Nguyen Xuan Phuc urged faster disbursement of ODA capital and concessional loans while chairing a meeting with some ministries, sectors and localities in Hanoi on August 1. The Ministry of Planning and Investment reported that from 1993, when Vietnam recovered its relations with international sponsors, to June 2017, the country inked agreements on non-refundable loans and aid worth some 82.61 billion USD. As of the end of June 2017, 810 programmes and projects were being implemented with total undisbursed capital of about 21.167 billion USD. The sum will be disbursed from now through 2026 according to the agreements’ schedule, but most of the sum, 17.485 billion USD, is set to be disbursed between 2017 and 2020. Total ODA capital and concessional loans able to be disbursed in 2017 are about 4.6 billion USD, of which about 33 percent, or 1.5 billion USD was disbursed in the year’s first half, according to the ministry. Participants at the meeting pointed out shortcomings in the use and management of ODA capital and sought measures to address those problems. PM Phuc said ODA capital has significantly contributed to national development, and the majority of it has been used effectively. All of the signed ODA capital and concessional loans must be disbursed on schedule, he stressed, adding that each project owner must review their capacity and responsibility and withdraw or seek other funding sources when realising their incompetence.